Delve into the infamous St Pauli district on this 2-hour Hamburg walking tour. Start with a glass of sparkling wine or local liquor in a St Pauli bar, then follow a guide through the bustling streets and soak up the atmosphere. Take in local attractions such as the Zur Ritze boxing club, and explore vibrant streets including the Grosse Freiheit and Herbertstrasse — part of St. Pauli’s red-light district. 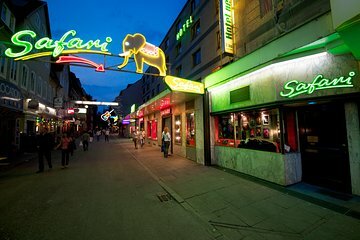 Stop along the way for a beer or soft drink, and listen as a guide sheds light on St Pauli’s colorful past.